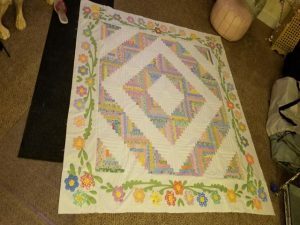 This flower garden has a new and unique border designed by Yvette of Vetmari.com. Hexie flowers are used with new stems and leaves. 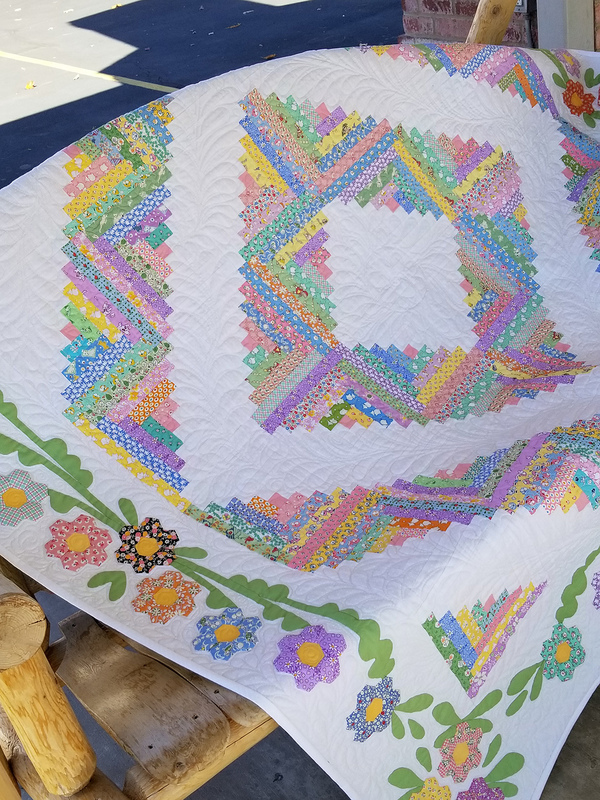 You will be learning the accuracy of cutting and sewing as you make the log cabins. 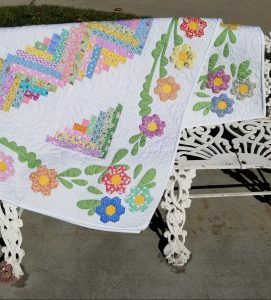 The Hexie flower are done by English Paper Piecing and the border will be freezer paper appliqué method. Email Marian at quiltcentral@yahoo.com if you have questions. 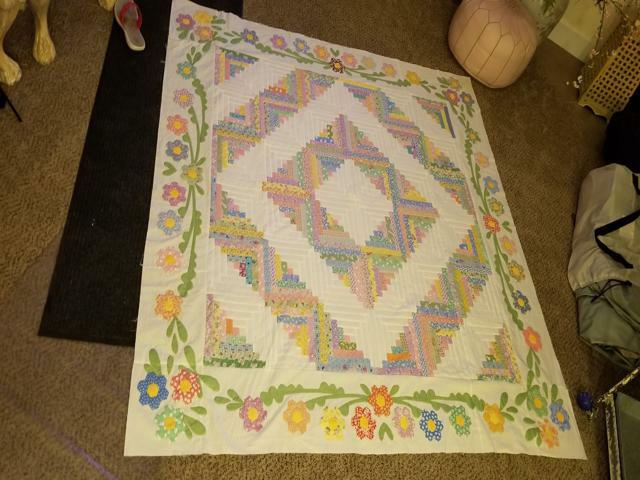 The original quilt is done in 30’s fabrics, but any fabrics can be used. 2 yards of assorted fabrics for the log cabins and flowers.